According to the revised EU legislation, 'the holder of a manufacturing authorization shall at least be obliged to comply with the principles and guidelines of good manufacturing practice for medicinal products and to use as starting materials only active substances, which have been manufactured in accordance with the detailed guidelines on good manufacturing practice for starting materials' (Directive 2001/83/EC as amended, article 46(f) for Human Medicinal Products and Directive 2001/82/EC, Article 50(f) for Veterinary Medicinal Products).The aim of the APIC Audit Programme is to provide a standardised Third Party Auditing process to ensure that an effective assessment is performed of the GMP status of APIs used as Starting Materials for Medicinal Products sold within Europe and in doing so contribute to the assurance of the Quality, Safety and Efficacy of the Medicinal Products. You will find more Information about the APIC Auditing Programme here. Following this document will provide the current "state of the art" in pharmaceutical (API) auditing. 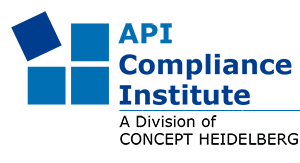 You will find the APIC Auditing Guide here.